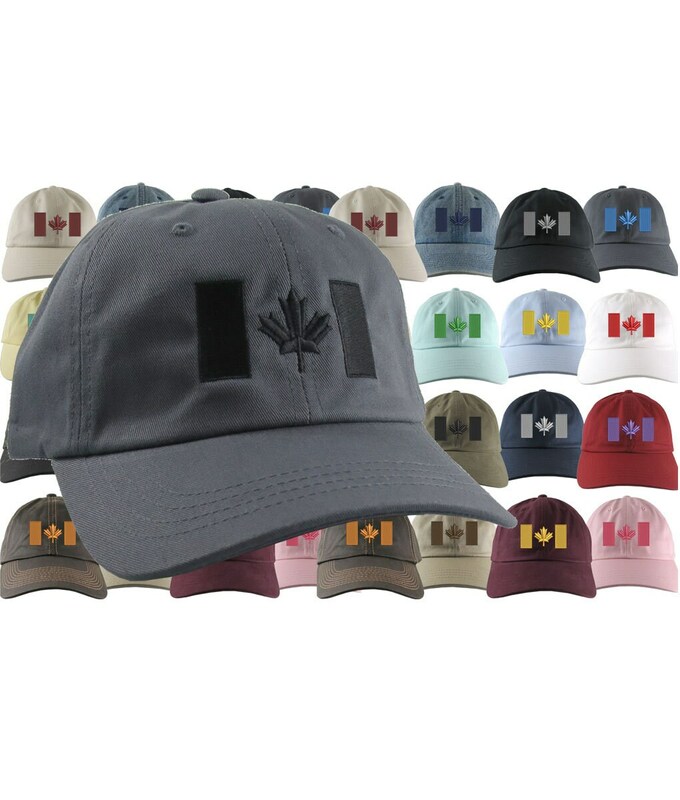 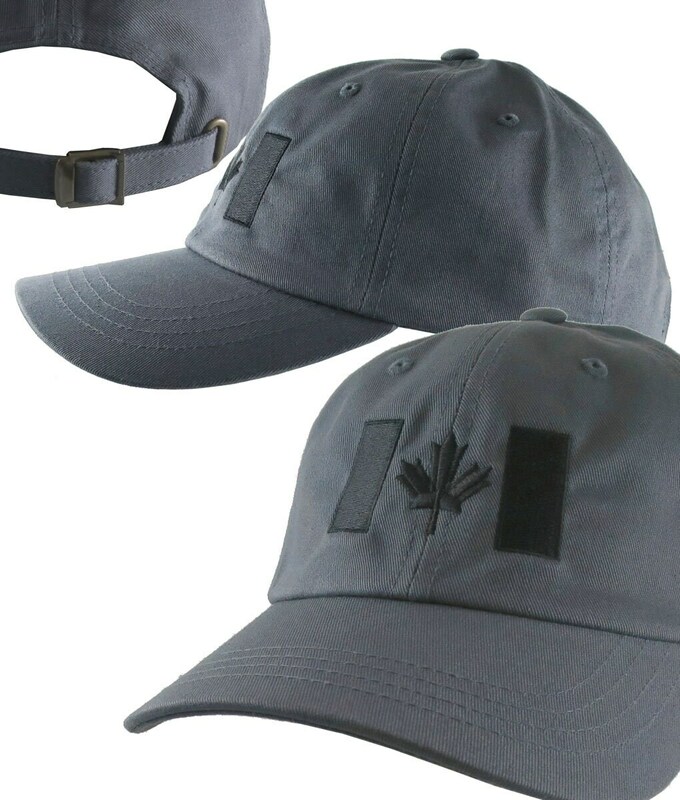 A Canadian flag symbol embroidery on a selection of low-profile stylish adjustable unstructured baseball cap in the "dad hat" popular style; 21 hat colors to choose from. 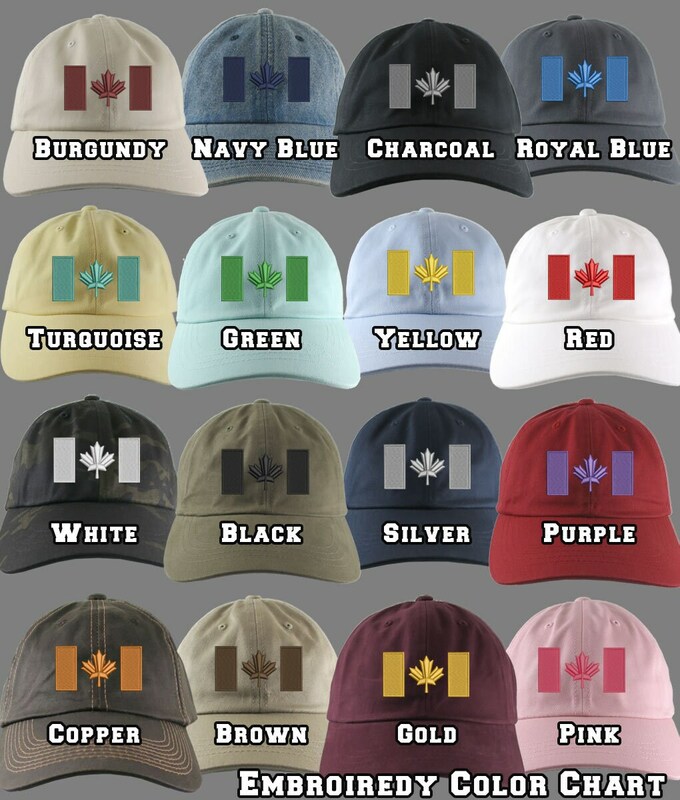 A great Canada theme gift idea. 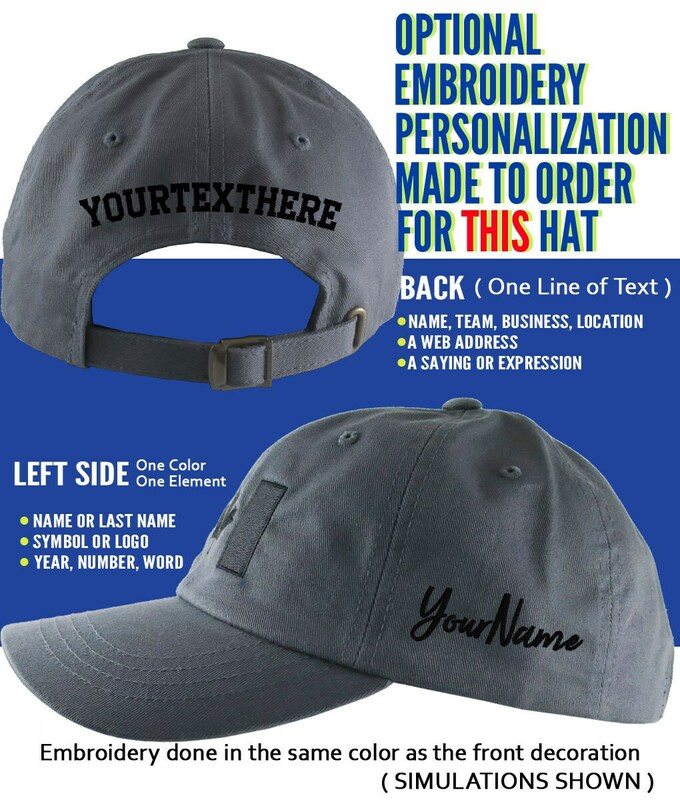 Truly a one of a kind fashion statement you can wear or share on all occasions. 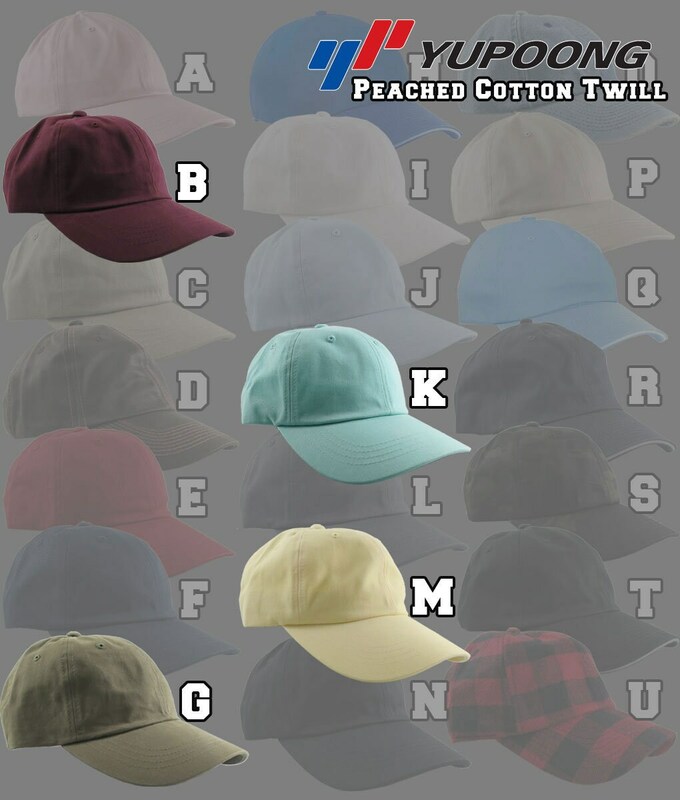 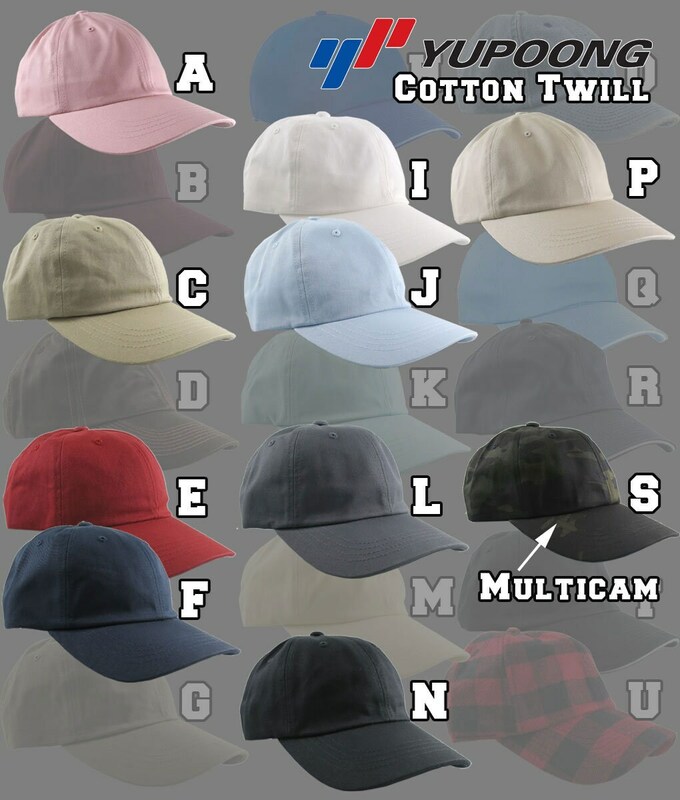 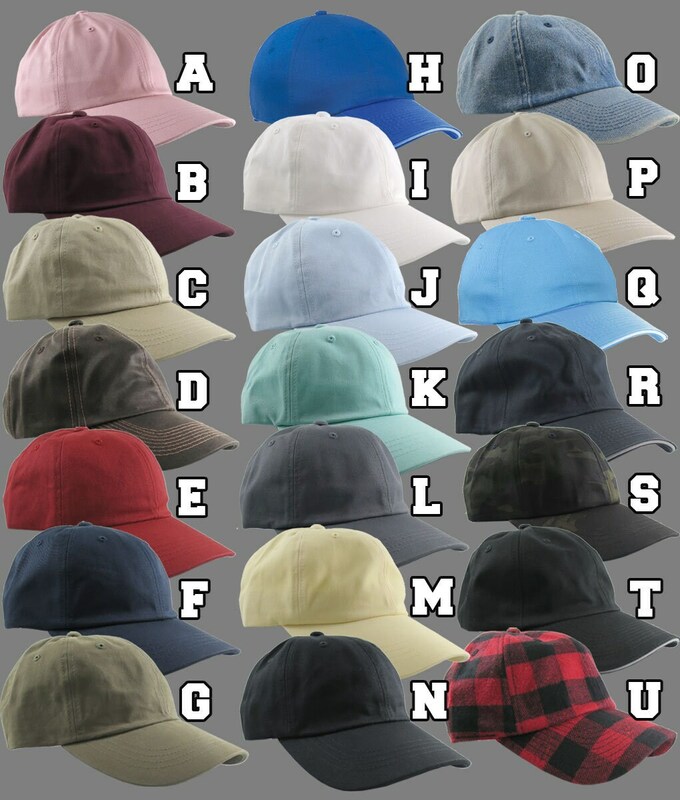 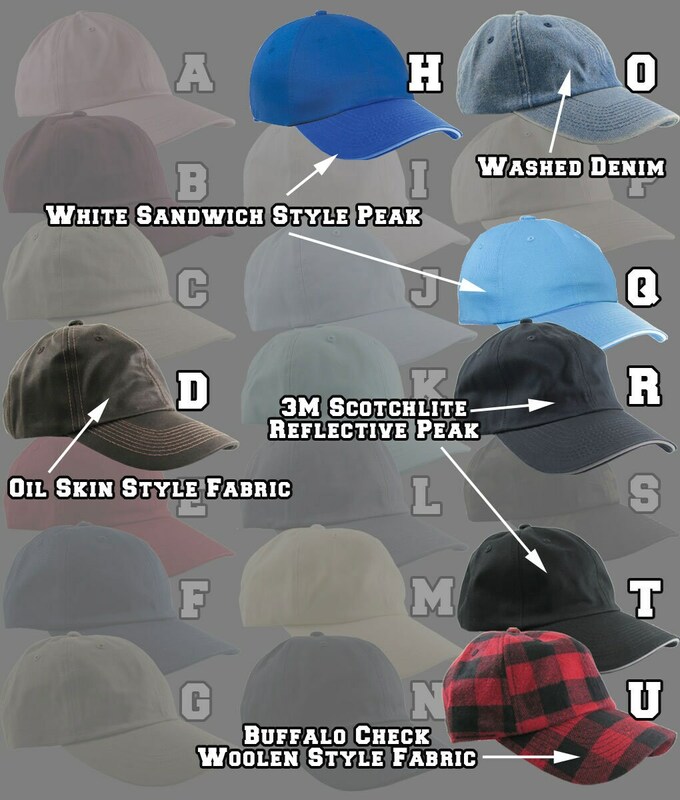 You get to pick your hat color and your embroidery thread color for a complete custom hat.